So how does it hold up to the original books? I think the tv adaption is awesome! I wish the episodes were longer. I felt that each book could have had an additional episode devoted to the story because there were so many fantastic details that you miss if you haven’t read the books. This includes the details of both Strike and Robin’s pasts, the minutia of the investigations, and Strike’s investigative relationships. My one actual complaint….Matthew was too nice. The Matthew of the books is an insecure, controlling jerk. I can’t stand him. I finished the last book wanting nothing more than for Robin to leave him. The Matthew of the series was a more reasonable shadow of the man in the books. Sure he was still insecure and self centered but he’s no where near as whining and controlling as he should have been portrayed. It left me annoyed that he was more likable than he should have been. WATCH IT! READ THE BOOKS! And then let me know what you think! In the meantime…I think I’m going to watch it again. Happy Reading! We’ve all been there. The credits are rolling and someone loudly states, “Well the book was better.” Maybe you’re the one who said it. Maybe your the person rolling your eyes because of course the 600 page book was better. Or maybe your the one who hasn’t had the chance to read the book or has no desire to read it. In the end of the movies stays relatively true to the book…does it really matter? I like to think I’m pretty easy going but I’m not when it comes to books (sheepishly admitting to the half hour rant I had about YA editing yesterday). But, I firmly believe that movies based on books can be AMAZING! (The Giver, Harry Potter, and so on) Of course the movie cant deviate from the book’s storyline or change characters’ personalities. It needs to remain true to the story. I prefer TV shows over movies. And I’ve been struggling with a frustrating reading slump the last month. 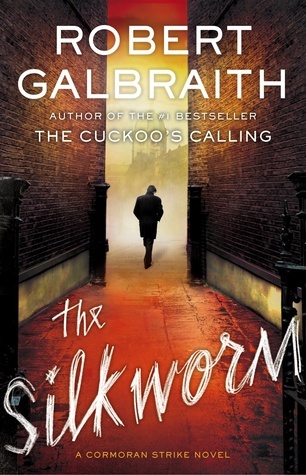 So imagine how thrilled I was to see that one of my favorite mystery series, the Cormoran Strike series by Robert Galbraith (JK Rowling), has been turned into a tv series. And I could stream it through Amazon! This week I’ll be resharing my reviews for the first three books in series, The Cuckoo’s Calling, The Silkworm, and Career of Evil. And this weekend I will proceed to binge watch the entire show! People, it’s ridiculous how excited I am. Let me know if you’ve seen the series. Are you a fan of the books? And where do you stand on the books to film debate?